Edmund Pickle Chin Blog Tour – And A Chance For A Prize! Good Morning, Everyone! Happy Monday! Today it is my pleasure to host Clara Bowman-Jahn and Susan Elwood on the final stop of their blog tour for Edmund Pickle Chin – A Donkey Rescue Story, their wonderful new picture book! Today, we will hear about how teachers can use Edmund in the classroom. Please help me welcome Susan Elwood! Hi Susanna, it’s a pleasure to be your guest! 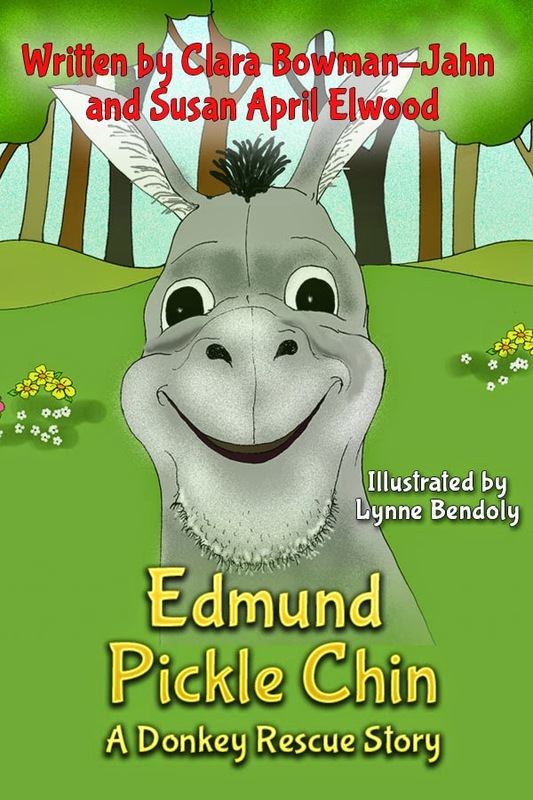 Edmund Pickle, A Donkey Rescue Story, may be a children’s picture book, but it is packed with opportunity for teachers to use in the classroom in various subjects and themes. I can see the opportunities spilling over into not only in the kindergarten and first grade classroom but the second and third as well. For the younger grades it has the days of the week built right in, along with an adventure Edmund has for each day. The days of the week also allow for the children to see that Susan, Edmund’s care giver in the story did not get results in a day, that it took a period of time (and patience). There’s the cause and effect lesson. Each and every one of us are responsible for our actions toward others and the results it may bring, and that includes our actions toward creatures. For those children who don’t have the opportunity to have pets, it teaches that all creatures respond to the way they are treated, be it positively or negatively. Compassion toward others goes a long way. Bullying is a serious topic in schools now a days and this book talks about a donkey trying to overcome this obstacle and how with patience from his care giver he is able to blossom and give back. It shows team work and patience. Ah patience! It seems with all the immediate results children can get now days with numerous technology devices, instant gratification is accepted. Sometimes that doesn’t come quickly when we are dealing with real life. Susan the care giver dedicates the time needed to bring on the results she hopes for Edmund. As far as my hopes on what the book will do for rescue animals, first and for most I hope it teaches the older children that places like Evermay Farm exists. That there is an option to abuse and neglect. I hope the book will impress upon them that animals have feelings and needs. My hope is that the younger generations grow up showing compassion and not looking the other way, when they could step in and make a difference. The book was written in hopes on drawing attention to a small rescue/sanctuary called Evermay Farm, which I founded about a year ago. The book was written to bring attention to the nonprofit and help with donations, but also, for me at least, to teach children compassion and patience. So happy to have had this chance to chat! Thank you so much, Susan! I’m sure teachers will find that very helpful and informative! And now, the moment you’ve all been waiting for. . .
Prizes – From Clara And Susan! Thanks so much for reading Friends! For all friends of Edmund are my friends. Below please find our links and the tour. Read every post, follow the blog and comment for prizes. The reader who follows each blog and comments on each stop of the tour will get first prize. And if there are many winners, hurray! We will deliver! First prize is a print book of both Annie’s Special Day and Edmund Pickle Chin. Second prize is either a print copy of Edmund or of Annie, you get to pick. Third prize is a copy of the ebook of Edmund Pickle Chin, a Donkey Rescue Story. Clara Bowman-Jahn worked as a registered nurse for thirty two years finally trading that job for her true love, writing. Clara’s short stories have been published in three anthologies, Campaigner Challenges 2011, The ‘I’ Word and Charms Vol. 2. She is also the author of Annie’s Special Day a children’s picture book. 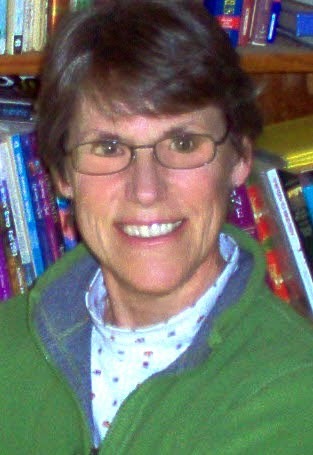 Her second Picture book, a true story, called Edmund Pickle Chin, a Donkey Rescue Story, is co-authored with Susan April Elwood. When Clara is not writing, she teaches ESOL to adult students through a library program. She also likes taking long walks with her husband, blogging, and reading books. She is a member of the Society for Children’s Book Writers and Illustrators, Julie Hedlunds Picture Book Challenge 12×12, Susanna Leonard Hill’s Making Picture Book Magic; Pennwriters, Bethesda Writer’s Center and Round Hill Writer’s Group. She lives in rural Loudoun County, Virginia with her brilliant husband, and two fat cats. She is the proud mother of two wonderful grown sons and a grandmother to a delightful grandson. Susan April Elwood has worked with children for over twenty years in Northern Virginia as a preschool teacher, kindergarten assistant, and a library assistant. With her passion for animals it made perfect sense to combine the two and write an animal story for children, teaming up with author Clara Bowman-Jahn. Susan and her husband Tom moved from Northern Virginia in 2007 to central Georgia where they founded Evermay Farm, a non-profit rescue for farm animals. This is the setting for the book titled, Edmund Pickle Chin, A Donkey Rescue Story. The story is based on Edmund a donkey, the first of many animals to call Evermay Farm home. Susan and her husband Tom have two treasured sons, a wonderful daughter-in-law and a precious grandson. In her free time, Susan enjoys photographing animals and antiquing. Thank you all so much for joining us today! Hooray for your surviving the weekend, Susanna! Hooray also for a fun book that helps kids deal with and learn about bullying. Congratulations and kudos to Clar and Susan! It was actually not that bad, and parts of it were fun 🙂 And this IS a great idea for a book – I'm all for taking good care of animals! Yay you made it safely back! This does sound full of educational nuggets and I didn't realise it was in print too duh I can buy it with the dart book. Thank you, Susanna, for a post that will help every teacher who wants to use Edmund Pickle Chin in their classroom. I'm glad that she pointed out the need for kids (and their parents) to realize that there are options to abuse and neglect of animals…Hurray for Evermay Farm! Hurray for Susan and Clar for writing this book! Thanks, Vivian. I agree – books like this and the education they make possible are SO important! And I'm glad that you, as a teacher, feel these resources are helpful! Thanks for your confidence in me, Clar 🙂 And you're very welcome! I am delighted to have you guys here and help spread the word of your wonderful book! Susanna, Thank you for having Edmund's story the highlight of your blog! Awesome post on ways to use the book with children! I enjoyed hearing from Susan this round. Susan has great suggestions in using Edmund in the classroom, that are helpful in many ways. This is a great book for school kids. They will love Edmund! This has been a great book tour! 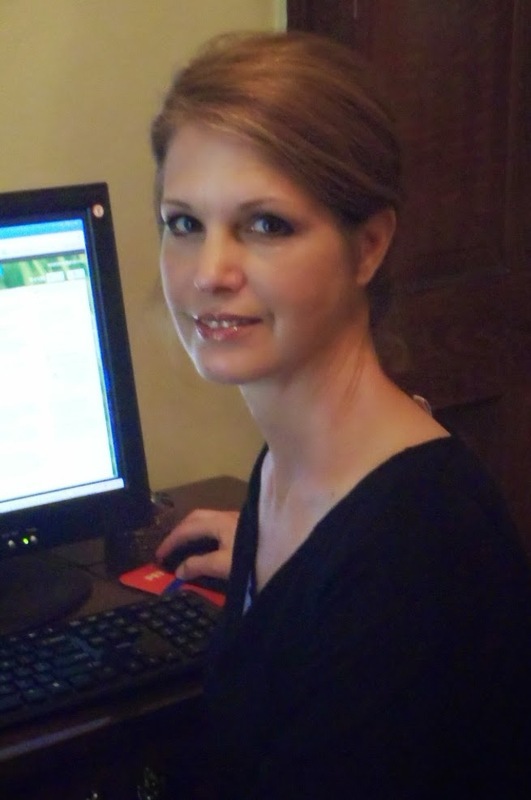 Today, Foxfire let me into your blog! Doesn't always happen so I'm typing fast. So glad you liked it, Kristi! This was a wonderful post. Would I be naughty in mentioning there are lots and lots of adults who could learn a thing or three from this story, especially about patience and how instant gratification isn't the way everything works in life? No, you could never be naughty Angela 🙂 And sadly, you are very right!